Here’s a question we get all the time: how do I care for my merino wool blanket? Like all blankets, they need to be cleaned periodically, but unlike other blankets, a cycle in the washing machine won’t do for Ohhio’s super chunky merino blankets. The fine wool we use is very delicate, and you’ll need to keep a few simple rules in mind when using it. 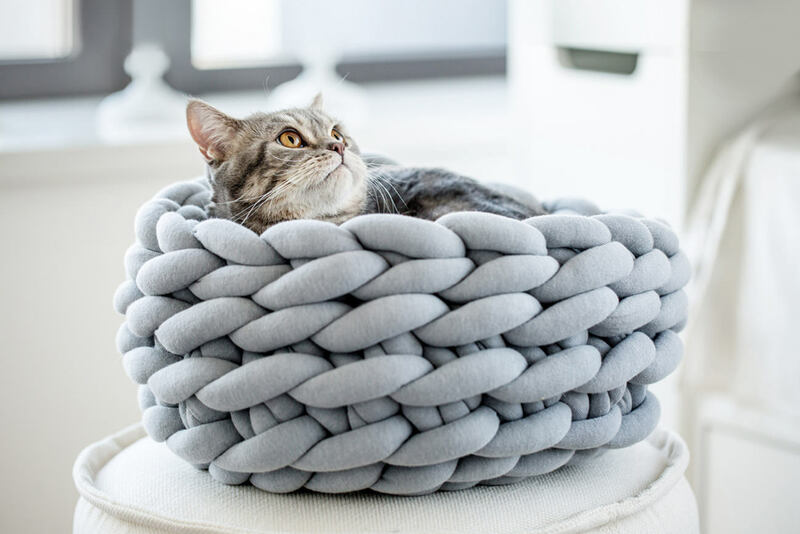 Don’t worry though: the little bit of maintenance an Ohhio blanket made from merino wool requires is worth all that chunky goodness retaining its pristine look and cloud-like softness for years to come. 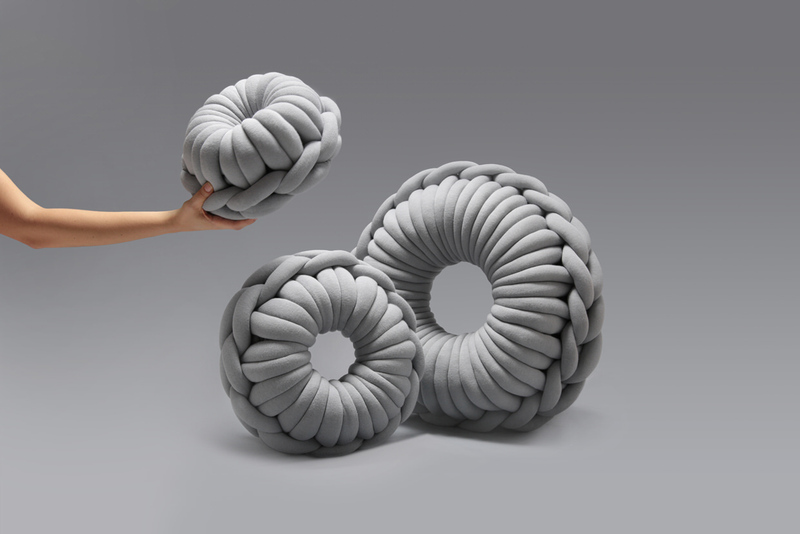 Since Ohhio’s woolen blankets are made from unspun merino roving, some shedding and pilling will occur naturally. The heavier the use, the more damage the blanket will sustain. When creating the blankets, we use a technique that minimizes the potential for damage, but they are still very tender. To ensure that your blanket stays looking like new, make sure to keep it away from areas where it’s likely to get stained. Our merino blankets are also likely to sustain damage when they come in contact with synthetic and abrasive materials (like velvet), so make sure it’s used with soft and natural materials. No matter how clean your home is, blankets will attract dust, lint, and pet hair due to static electricity. You might be inclined to pick these off using your fingers, but with large blankets this can end up taking hours. Instead of wasting your time, give your blanket a nice vigorous shake, and most of the stuff stuck to it will come off. If your merino blanket gets a deformed stitch, a shake will take care of that, too. Pilling will naturally occur in merino wool blankets with use. The heavier the use, the more pilling. 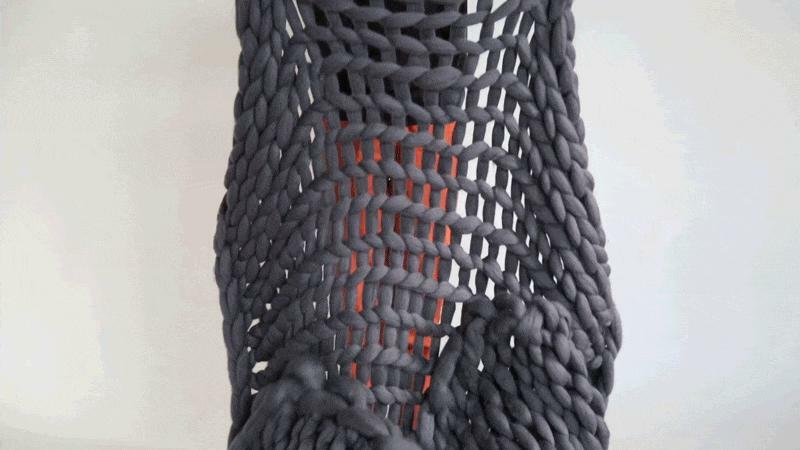 You might have seen those nifty little handheld devices that shave off pilling from fabric. The use of these is not advised with Ohhio’s woolen blankets. In fact, it’s way easier to do it by hand. Just pinch the part that’s pilled, and pull on it in the direction of the wool. If you’re taking off several of these at a time, rub them together in your hands to compile — it’s easier to handle them that way. 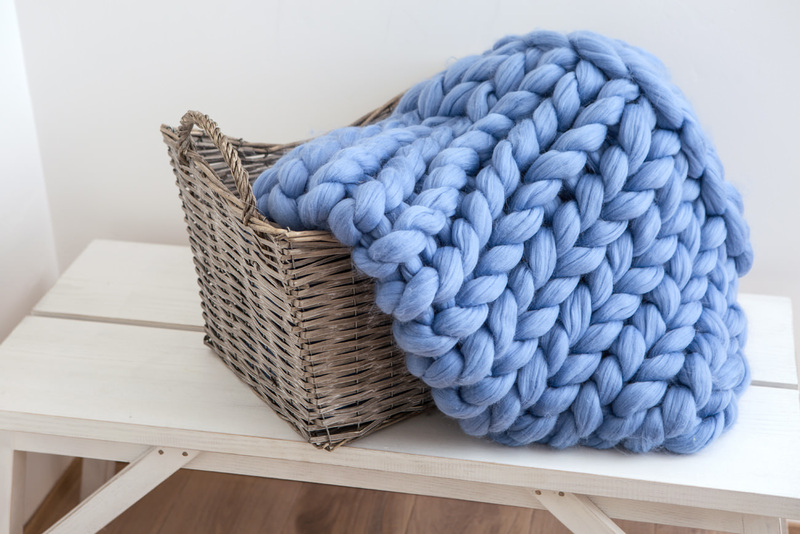 Unless you end up taking off too much, your chunky blanket should look just like new! If you get a stain on your Ohhio merino blanket, don’t put off cleaning it for later! The longer you wait before removing it, the more likely it is to stay for good. If you accidentally spilled something like coffee or wine on it, run that area of the blanket under cold water. Once the stain has been washed out, put that spot between two towels and give it a gentle squeeze. Afterward, put the blanket on a surface where it’s going to get a lot of air and make sure to flip it periodically until it dries. Never wash a merino wool blanket in the washing machine! The combination of water, heat, and friction will cause the blanket to felt and lose its softness and cloud-like look. 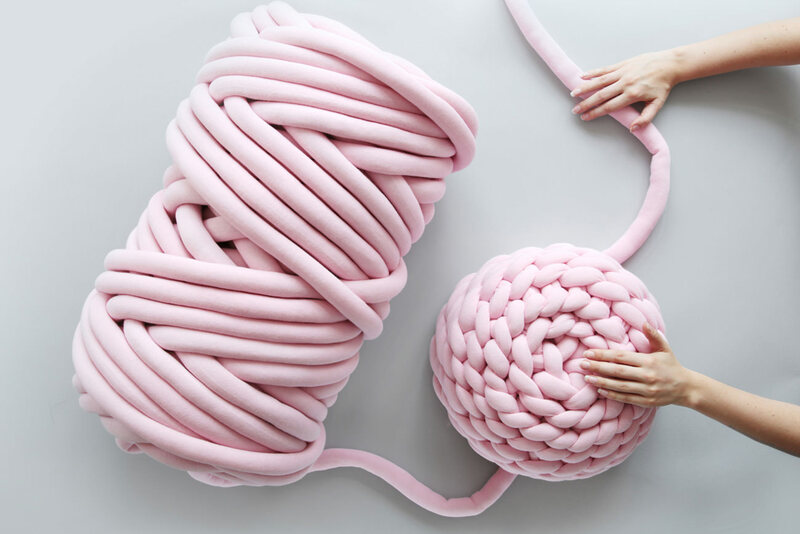 And now you know everything there is to know about caring for your super chunky merino wool blanket. 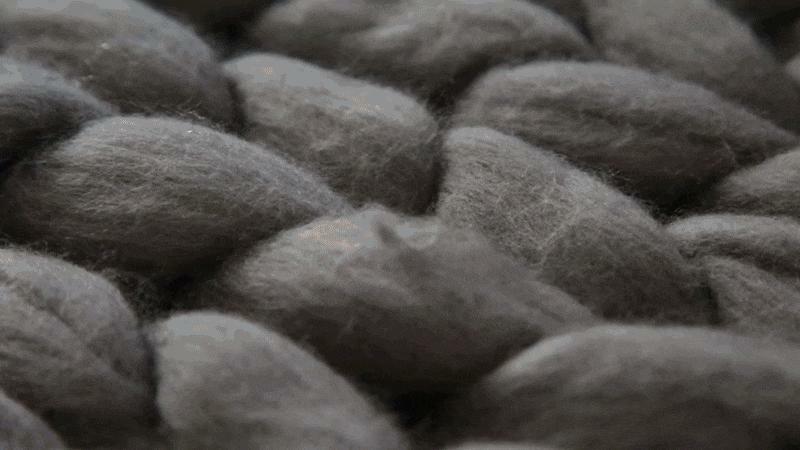 Merino wool is a very tender material — that’s why it’s so soft to the touch! This comes with the drawback that it needs to be handled gently. But if you follow these instructions, your blanket will stay looking and feeling as good as the day it arrived for a very long time.